Adrian Flux offers specialist insurance to a wide range of vehicles, including high performance cars, providing a range of low cost, high quality options. Drivers of high performance cars are frequently penalised by insurers because of the supposed higher risk associated with sports cars, and if you're a younger driver you could end up paying thousands. Here at Adrian Flux, though, we take a different approach. We know that people who buy their dream car are likely to take special care of it. We also know that many owners of performance cars keep them as cherished vehicles and have another vehicle for daily use. Because of this, as well as our generous discounts for committed enthusiasts, security precautions and experience of driving sports cars, we are able to offer high quality policies at incredibly low prices. With over 40 years experience, Adrian Flux has a reputation for designing cover that matches your needs to your budget. Our Cherished cars department has a whole spectrum of specialist schemes to cover all varieties of luxury and sports vehicles. if your car is your pride and joy, we'd love to speak to you. 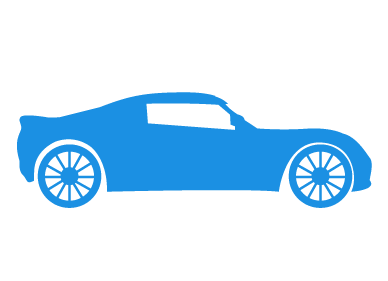 With over 40 years experience of arranging high quality insurance for car lovers we recognise that a one-size-fits-all approach will always leave those drivers with sports cars paying more than they need to. All performance cars including imports and exotica. Our policies for performance cars are already amazingly cheap, but you could save yourself even more money if you follow our simple tips for getting the best possible premiums. For younger drivers that will mean a saving of hundreds, or even thousands of pounds, but older drivers can save big too. Modified your vehicle? That's not a problem, but make sure you tell us about all modifications, even if they don't increase your bhp. Some modifications might even reduce your premium. Most importantly, you will also get like-for-like cover on all your upgrades, so you won't have to fork out again if you need to make a claim. Are you in an owners club or online forum? If not consider joining one. There are several great clubs for all the main models, so you're sure to find one you like. People who are enthusiastic will take better care, which is why you could get an extra discount of up to 15%. Keep your vehicle garaged if you can, and install the best alarm system you can afford and you'll pay less. There are several advanced driving qualifications which will give you extra skills as well as reducing the price of car insurance by up to 25%. If you've passed your test recently, you should consider taking a PassPlus, IAM or Any Driver BTEC qualification. These courses can pay for themselves in insurance savings, which could amount to hundreds of pounds. Schemes like these have been shown to vastly reduce the likelihood of accidents involving drivers who have taken it. And that means cheaper insurance. Because our staff are used to finding policies to suit unusual and even completely unique cars, they know which insurers offer the best policies and at prices to suit almost any budget. All seasoned insurance experts, they will calculate your premium individually, using their expert knowledge of the many insurance schemes on offer. When you call us you will be speaking to a knowledgeable enthusiast, based in the UK, rather than a computer rate from a call centre, which doesn't know its Elites from its Elises. Along with our tailor made schemes we believe we offer the best quotation service around.